Biometric technology is currently being developed. This is future technology that will allow you to keep your identity safer through the reading of finger prints, eye scans, and body movements. This technology will help create a more secure and protected environment to help fight against identity theft. The more people are aware of this technology, the more likely for further development and progress toward a better future. 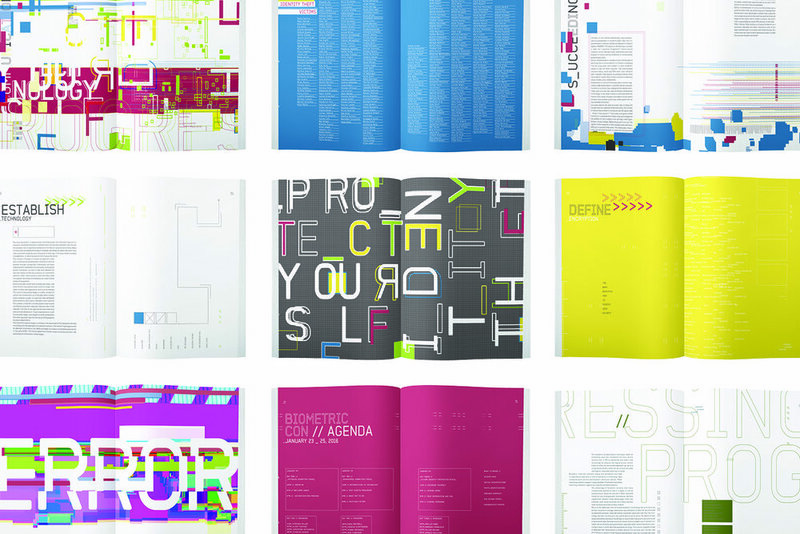 This book and poster creates a feeling of a computer that malfunctions over the course of the book, express the urgency of this issue.